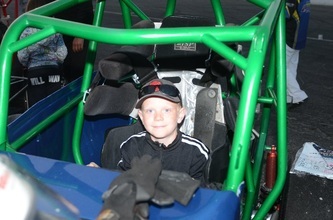 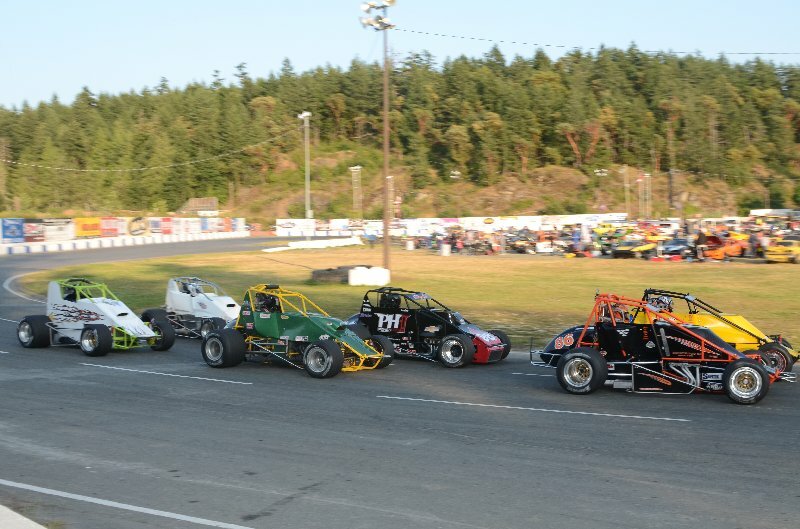 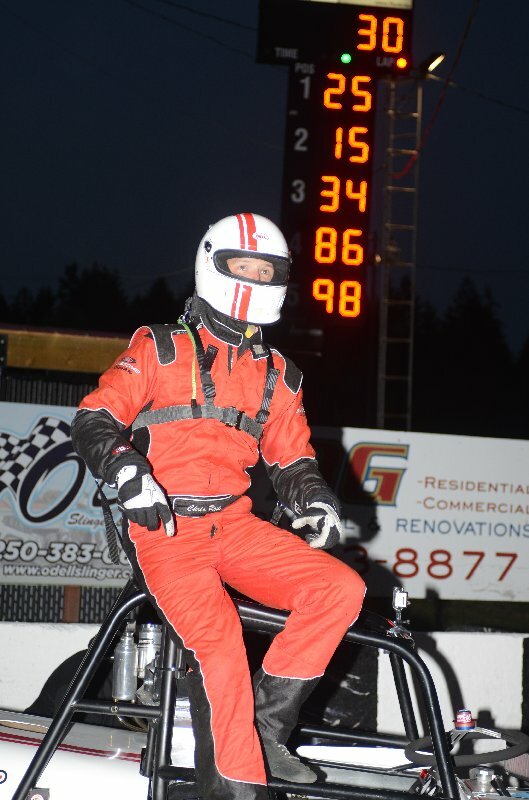 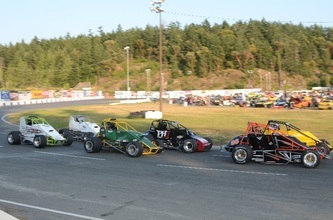 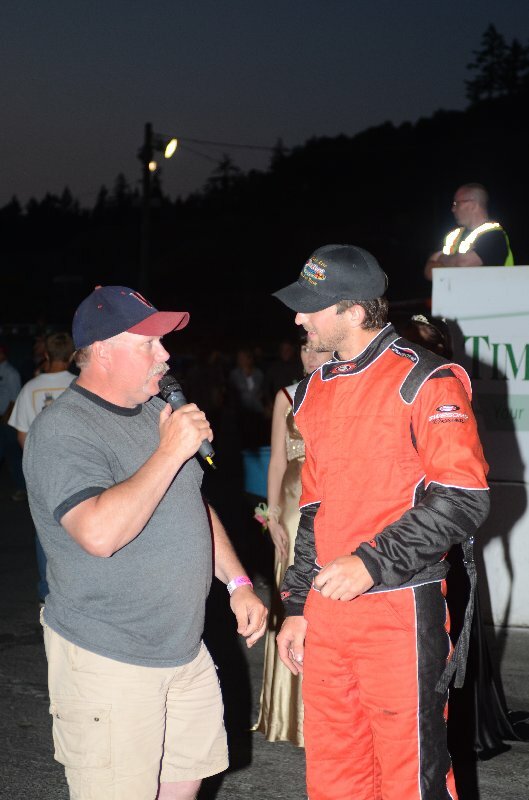 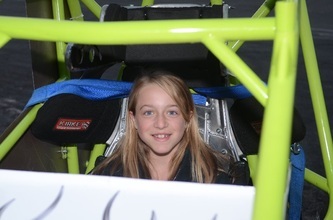 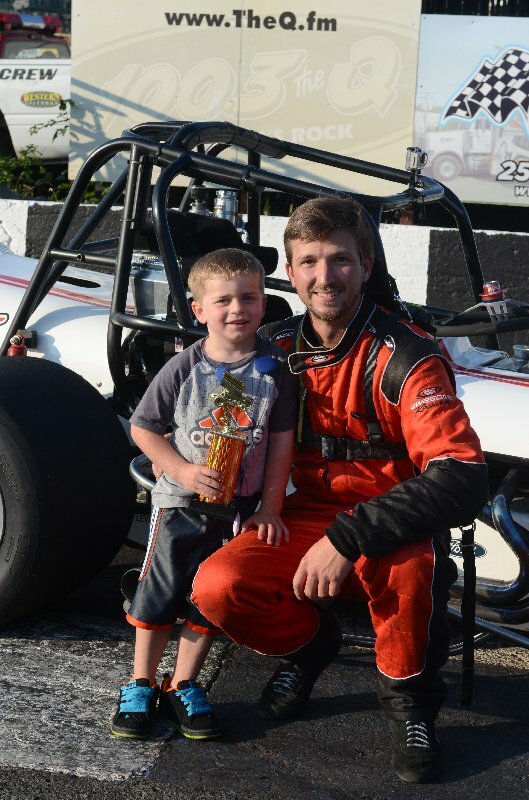 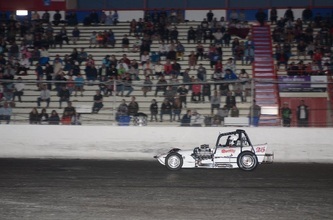 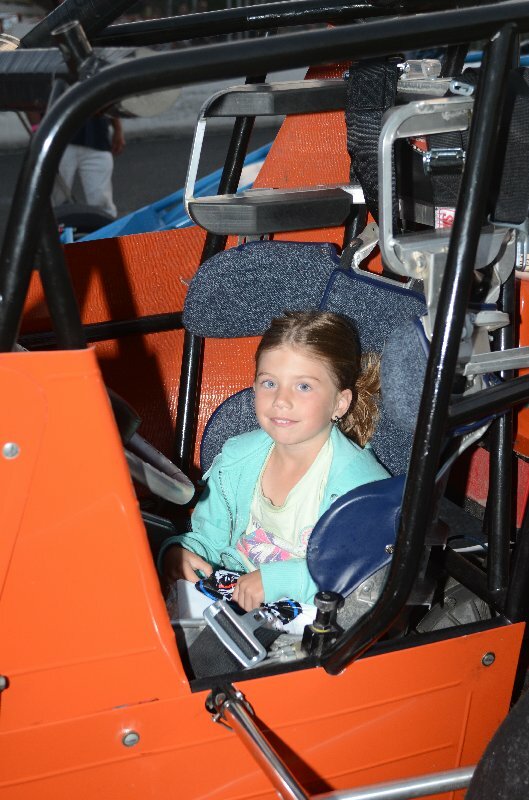 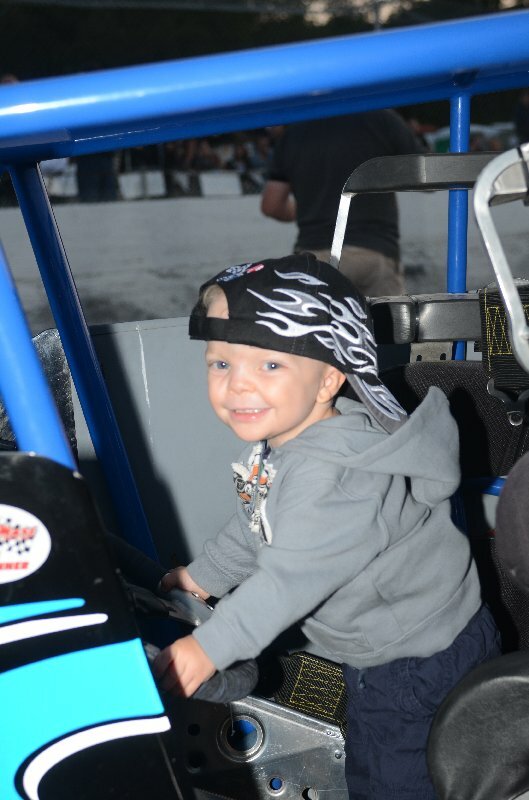 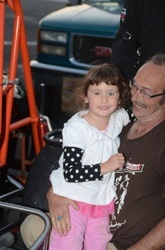 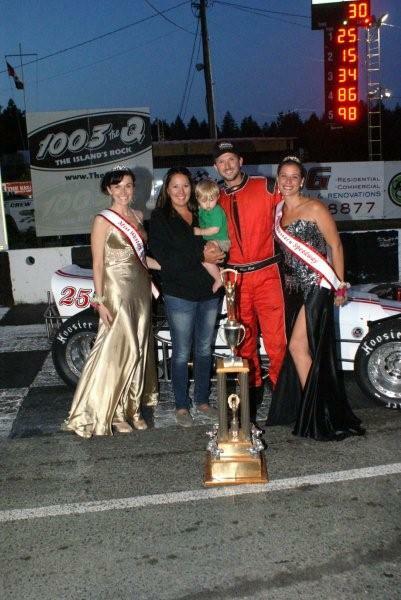 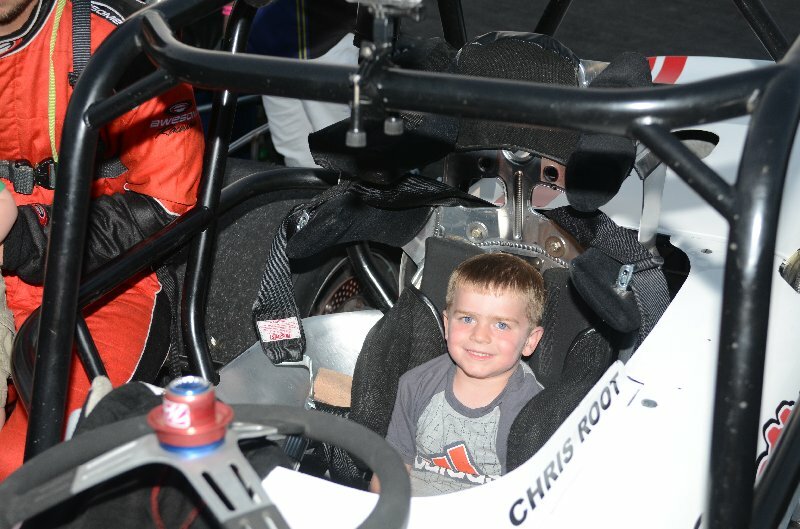 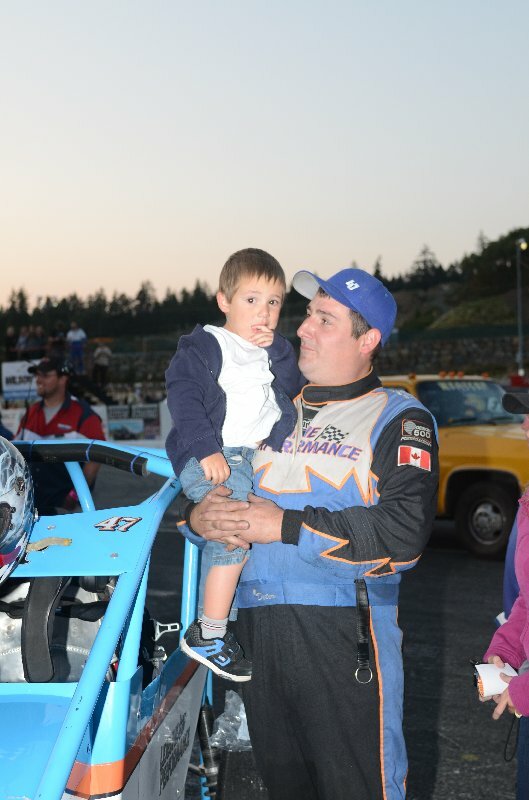 Western Speedway hosted the Steve Copp Construction sponsored Hornet Cars, the SDL Bins, I.M.S. 4 Mini Stocks, the OTRA Series, and the Richlock Rentals Non Wing Sprint Car Series running in the Cash Advantage Billy Foster Memorial Trophy race Saturday night. After Brooke Wade sang the National Anthem, there was a moment of silence for Andy Gatey who passed away a short time ago and Jim Giles done a victory lap in Gatey's old car one Giles now owns. 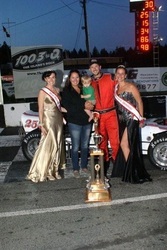 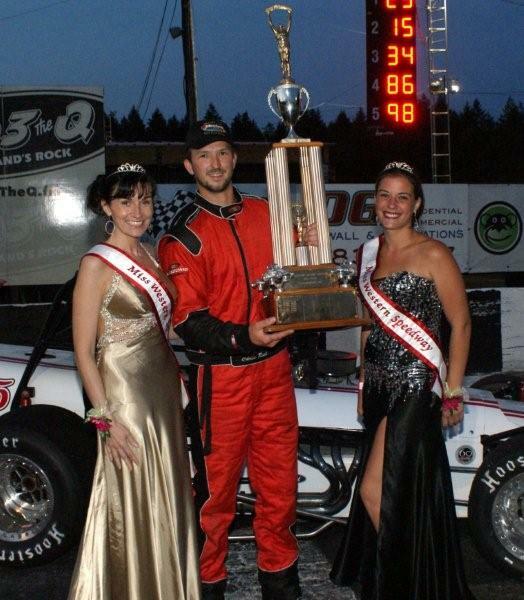 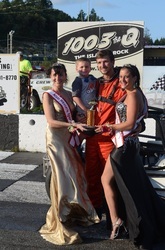 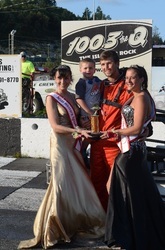 Trophy Dash wins went to Karl Parker in the Hornet Series, Sean Constantine in the Mini Stocks, Dennis Morneau in the OTRA Series, and Chris Root in the Sprint Car Series. 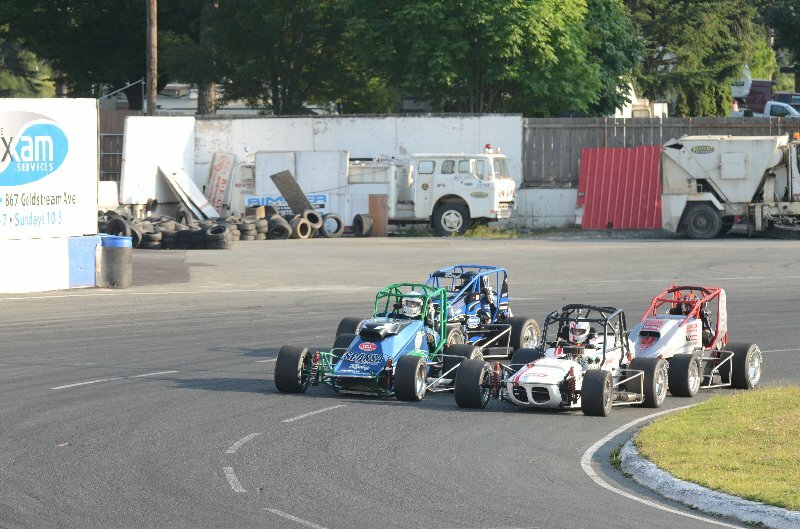 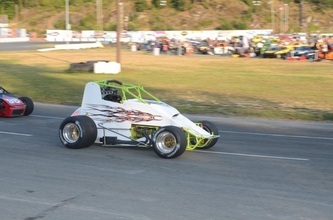 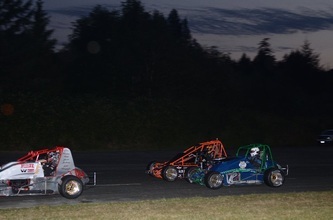 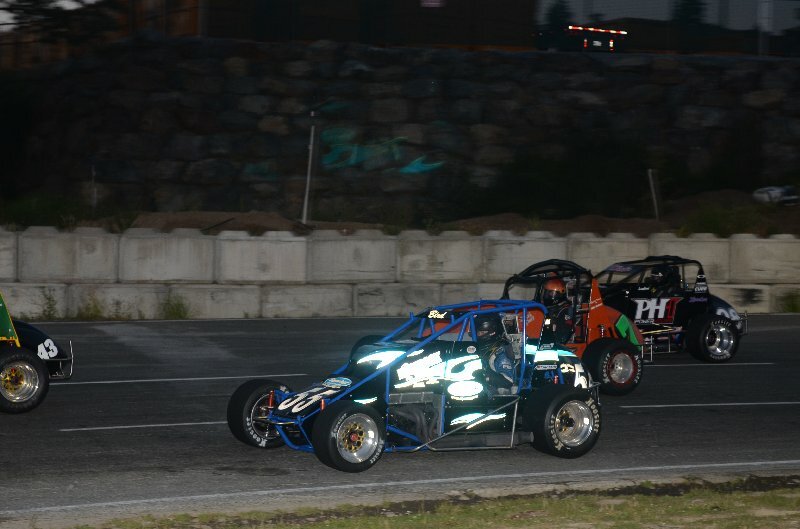 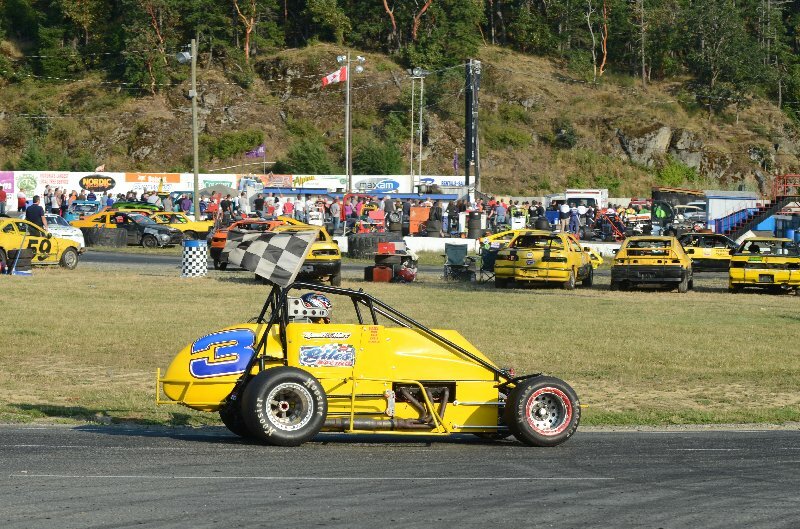 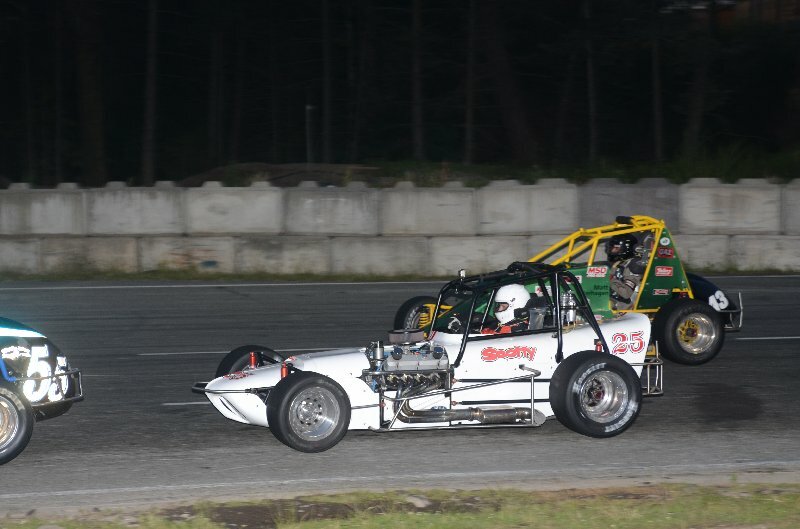 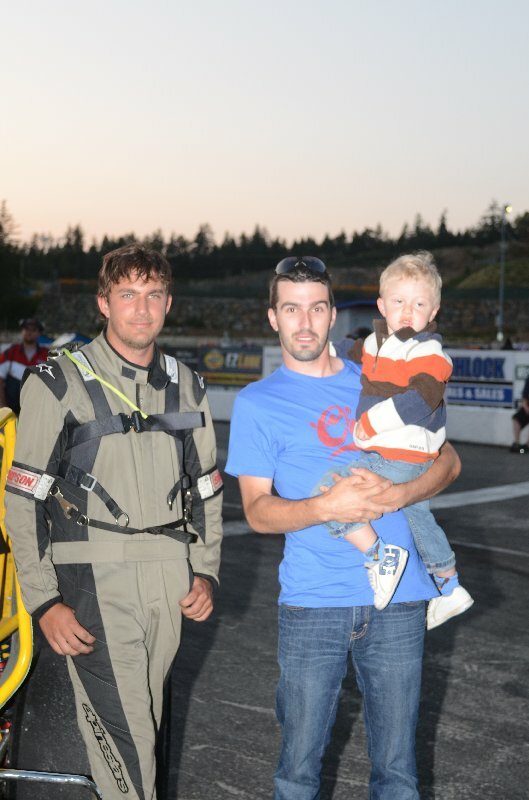 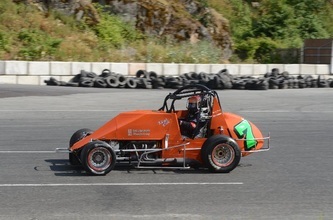 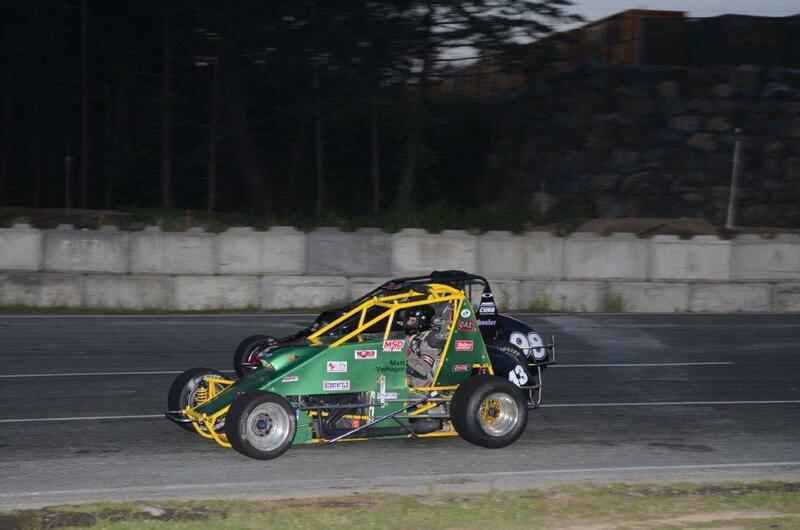 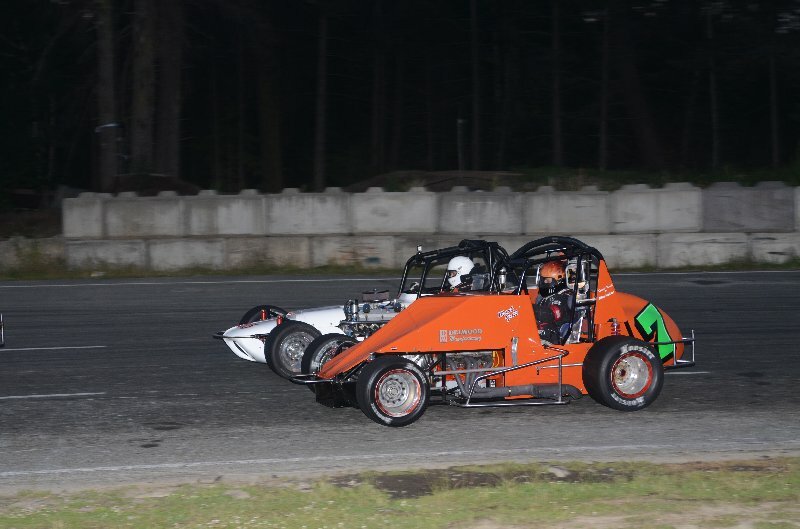 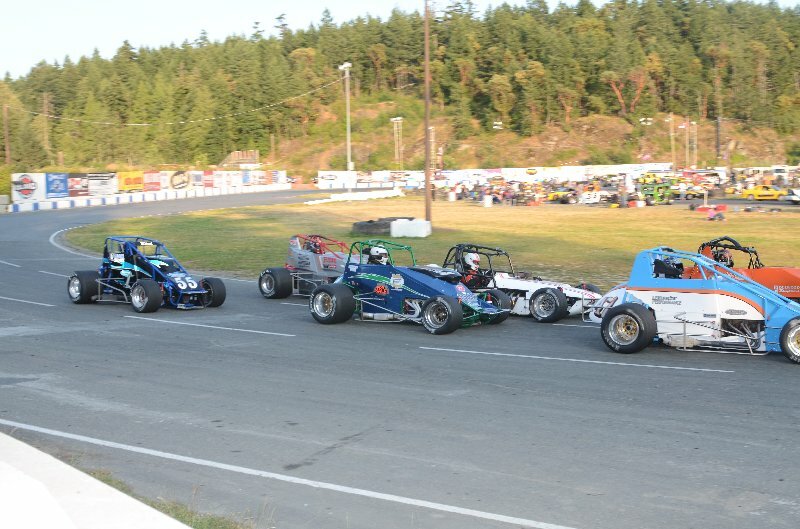 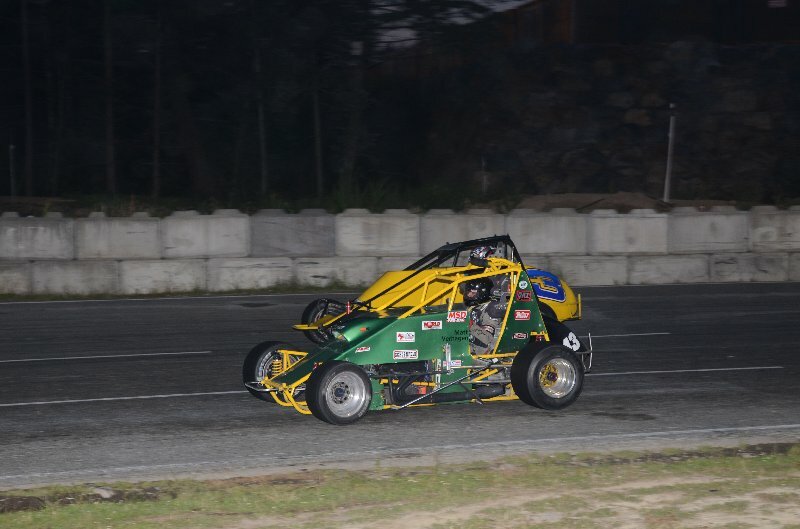 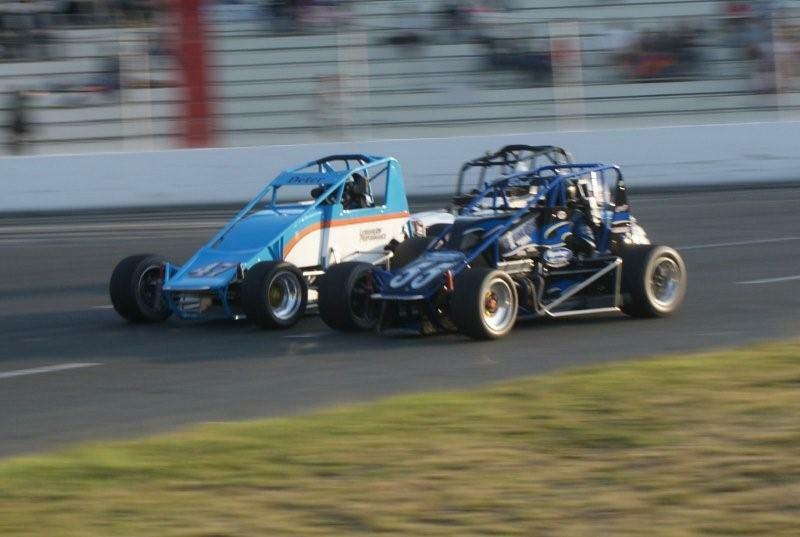 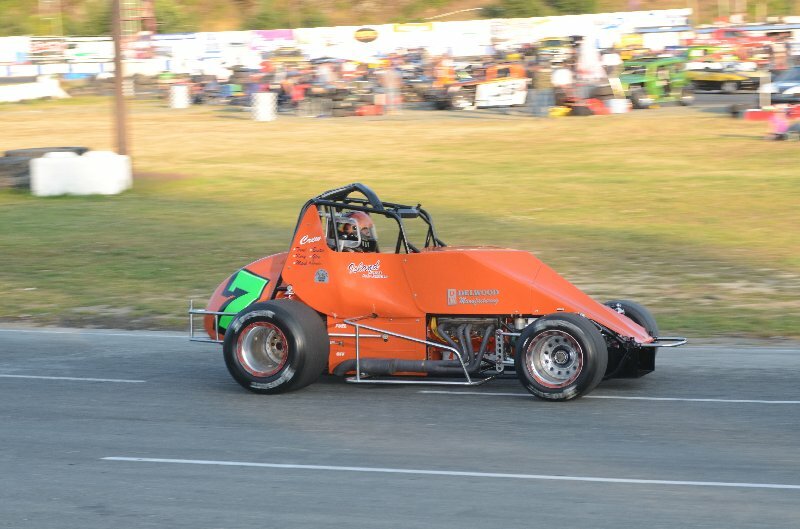 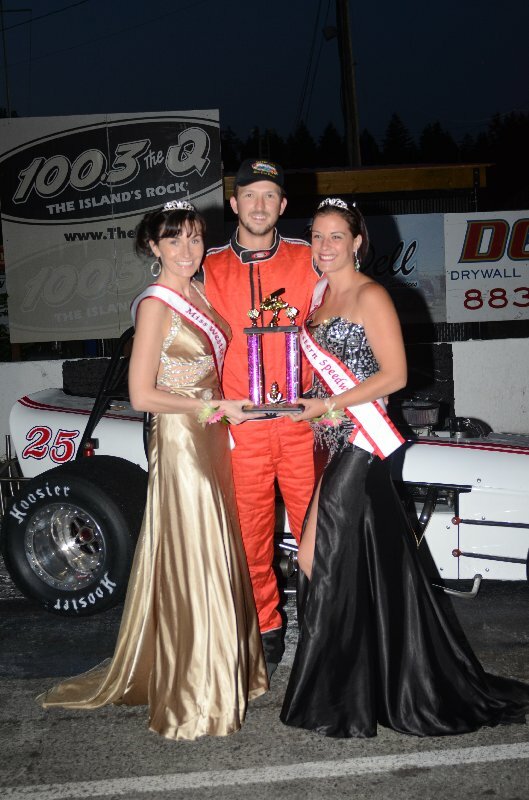 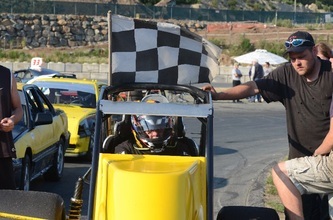 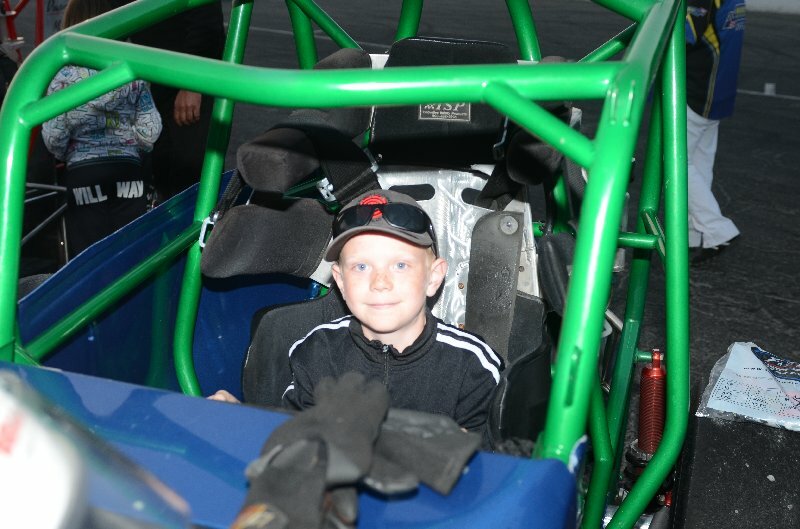 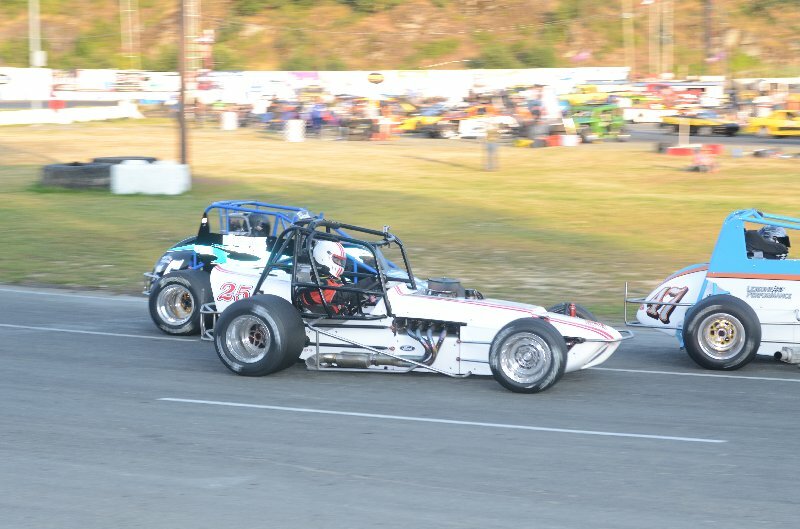 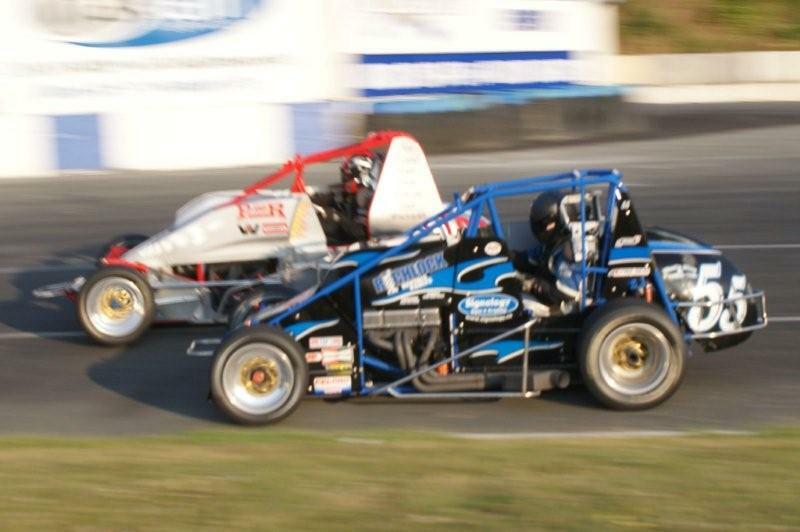 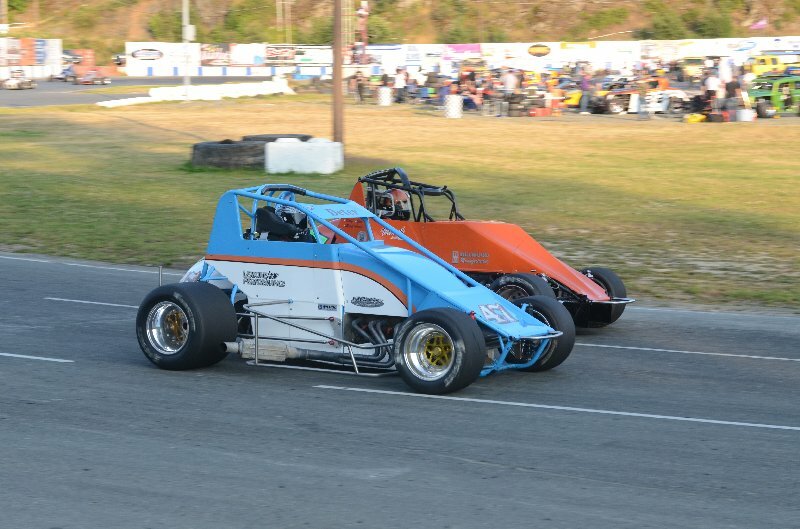 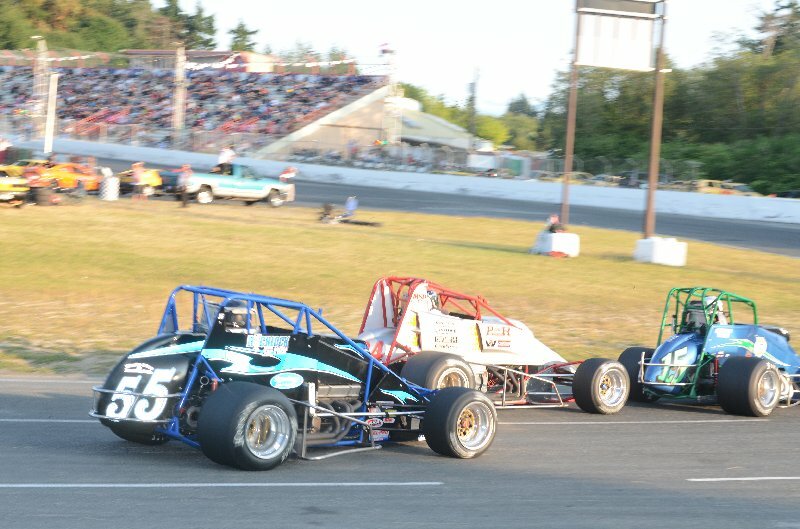 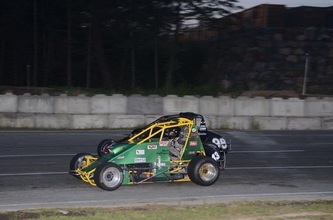 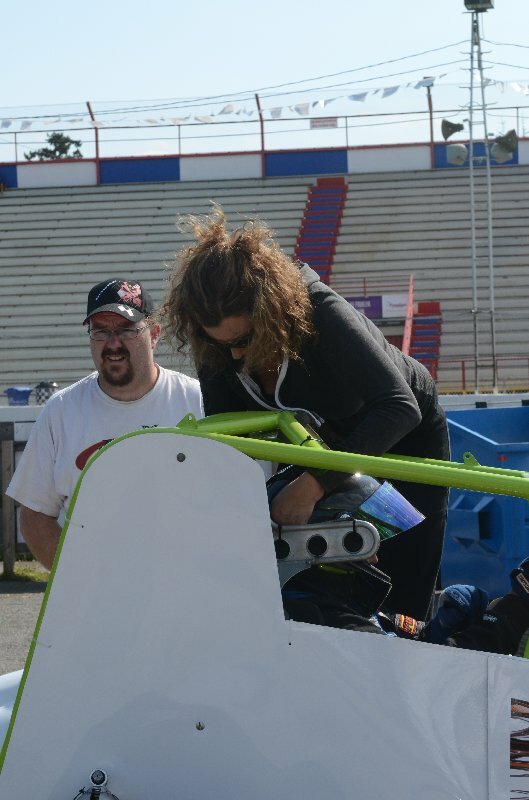 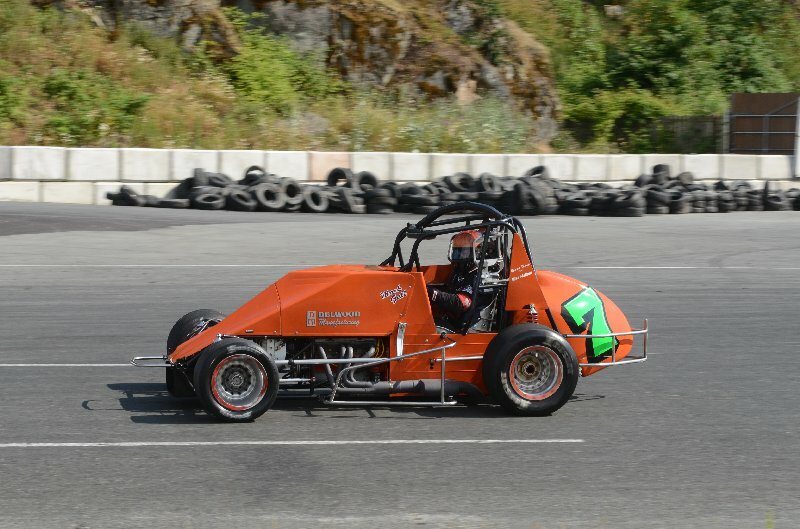 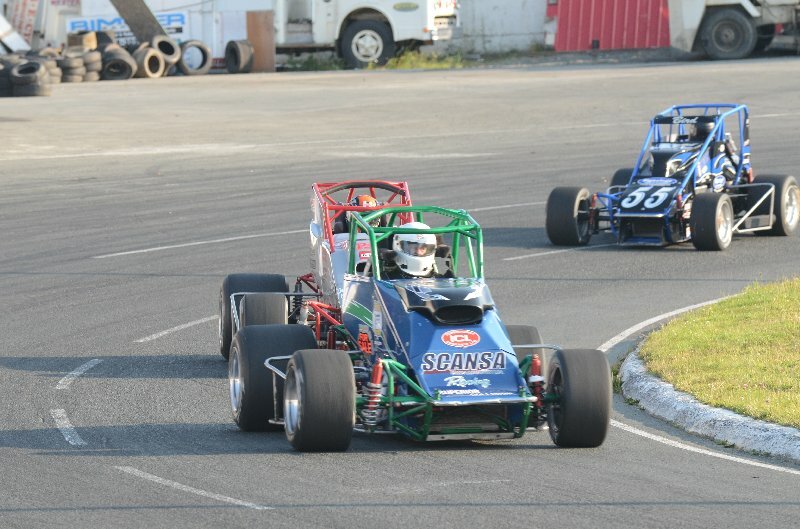 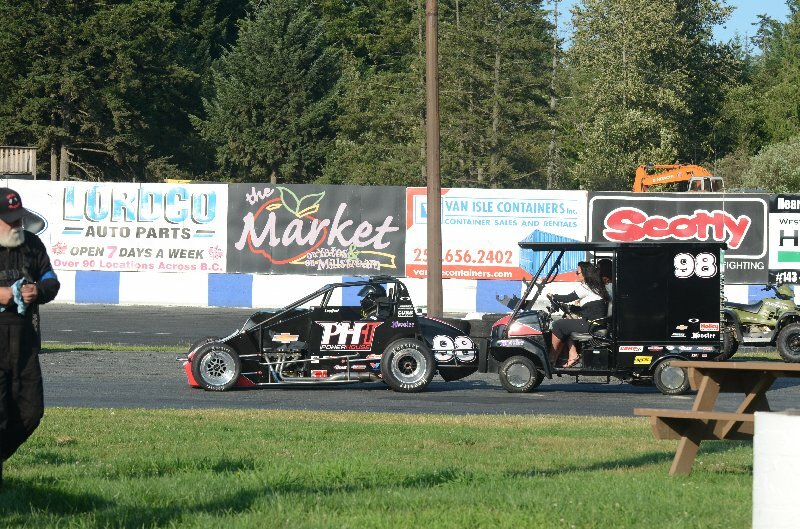 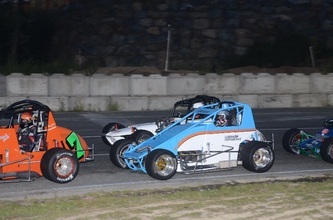 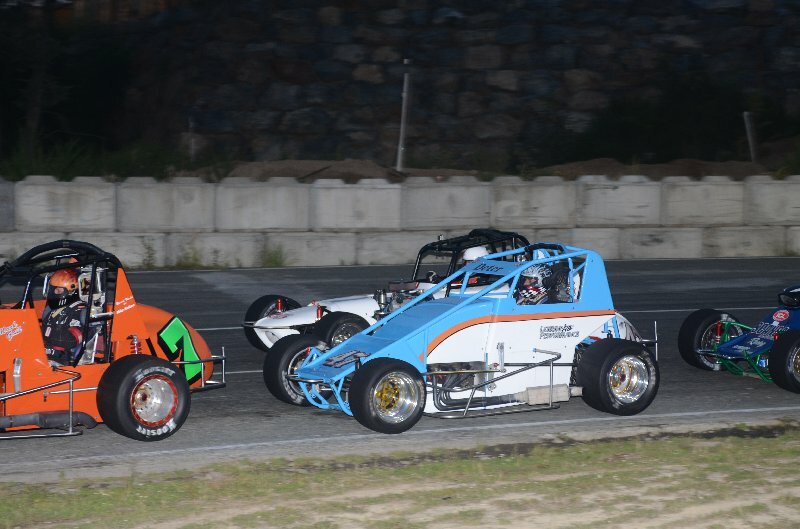 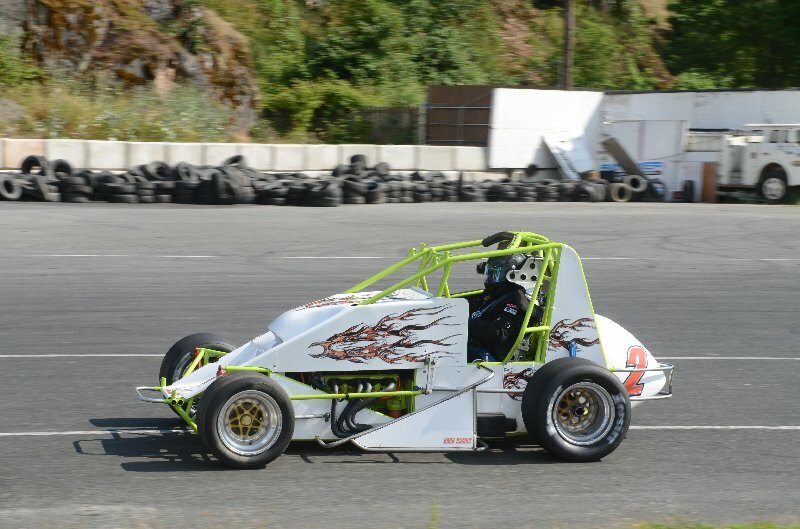 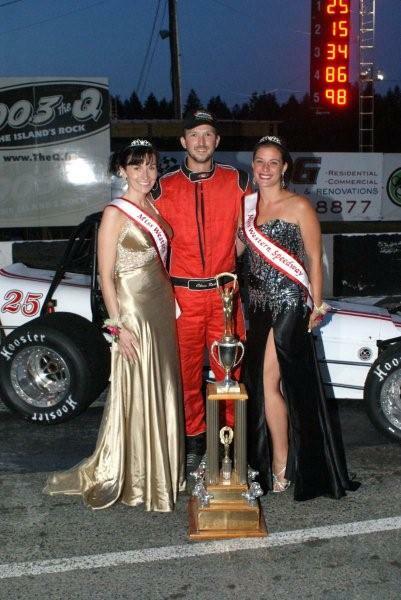 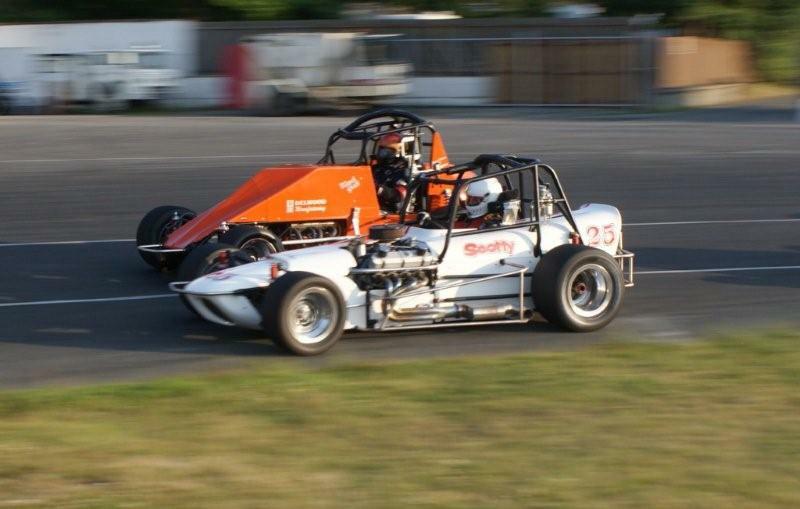 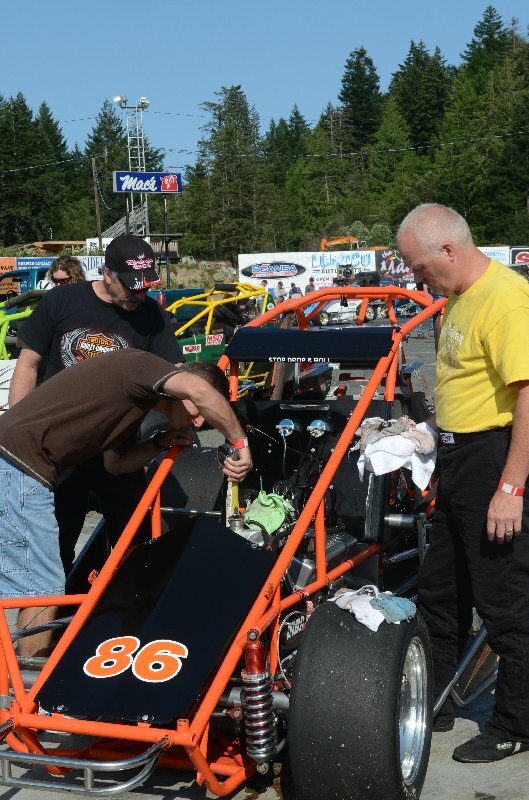 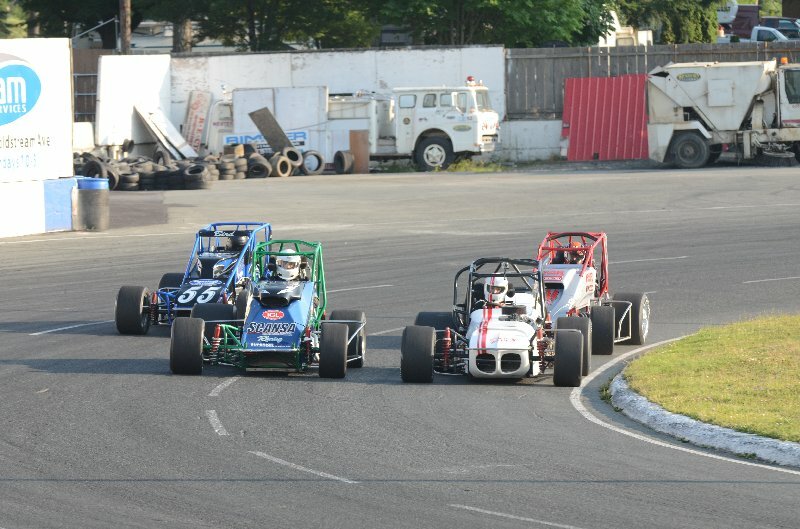 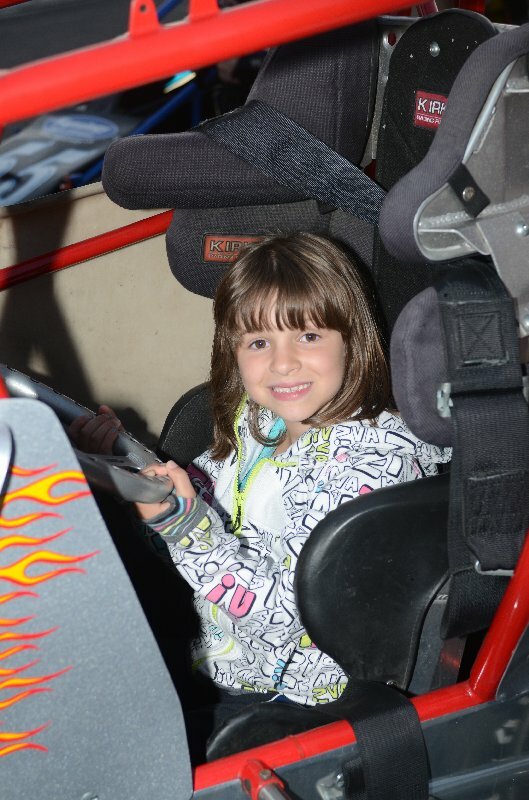 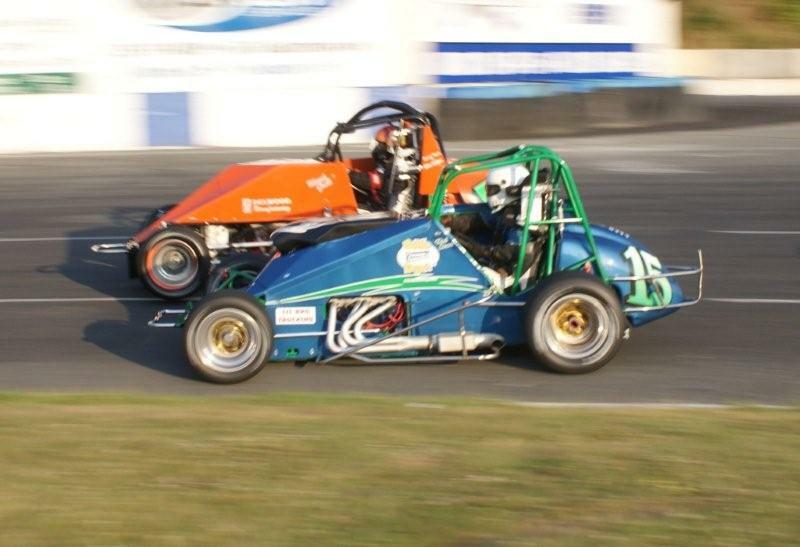 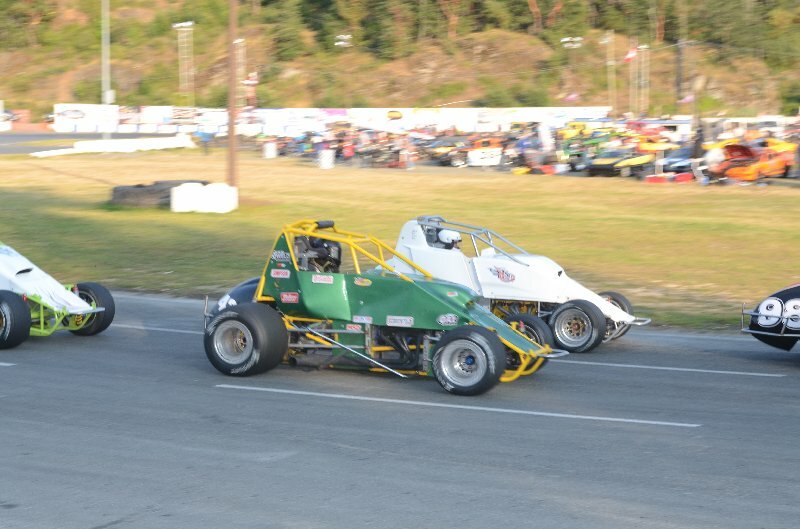 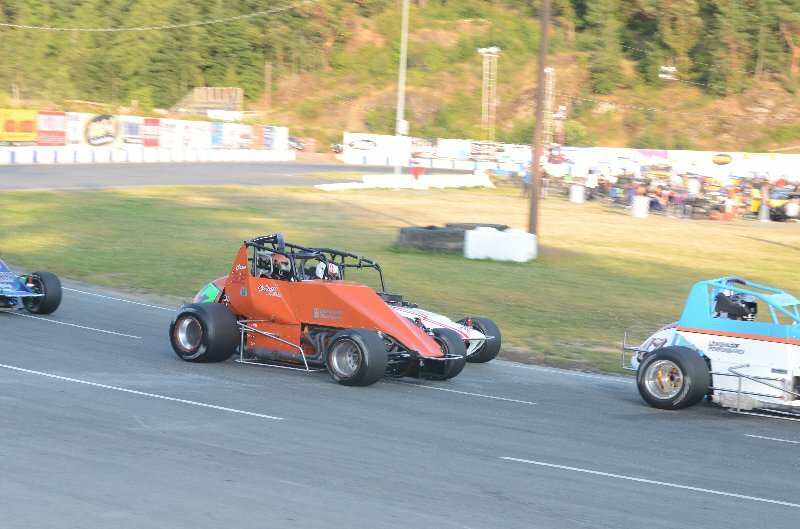 Heat race victories were captured by Karl Parker and Marlin Gait in the Hornet cars, Giles Parenteau in the Mini Stock Series, Jim Giles and Chris Root in the Sprint Car Series, and Tom Cinnamon in the OTRA Series. 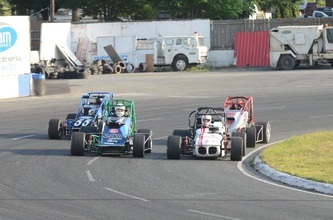 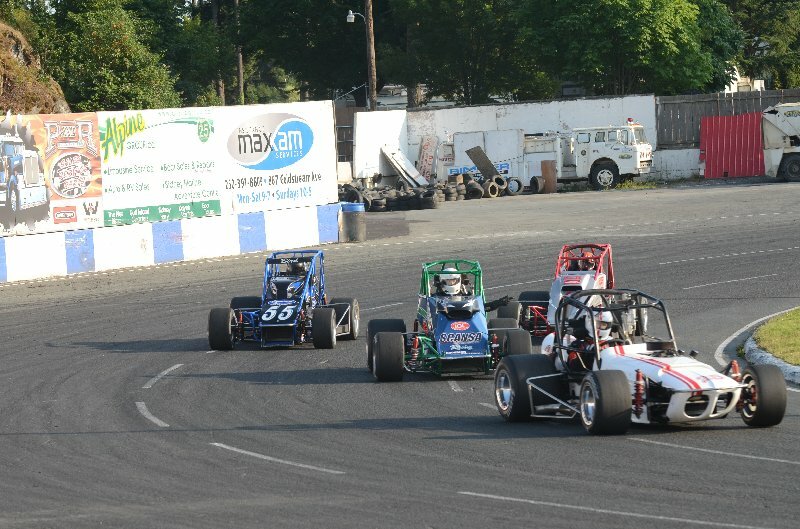 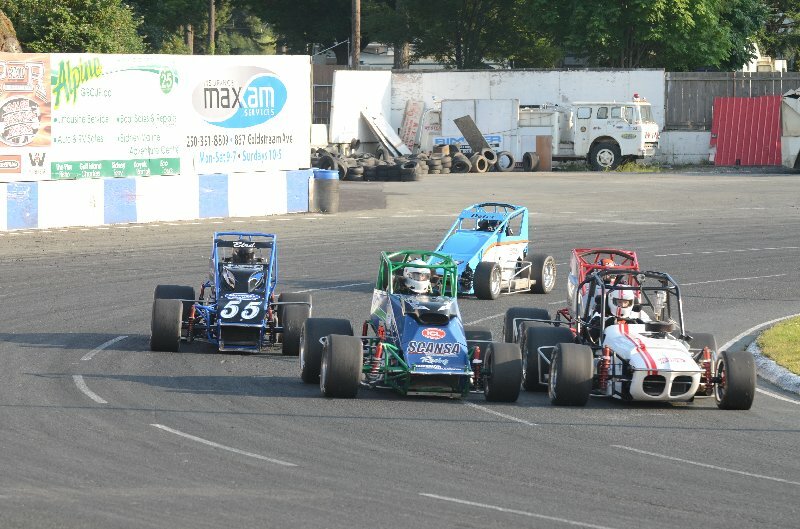 The Mini Stock Heat race featured three wide racing with Jeremy Waksel, Mike Nyeste driving the #96 car, and Sean Constantine. 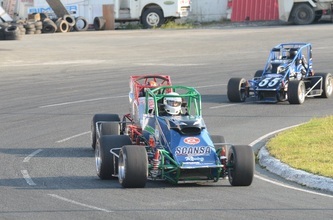 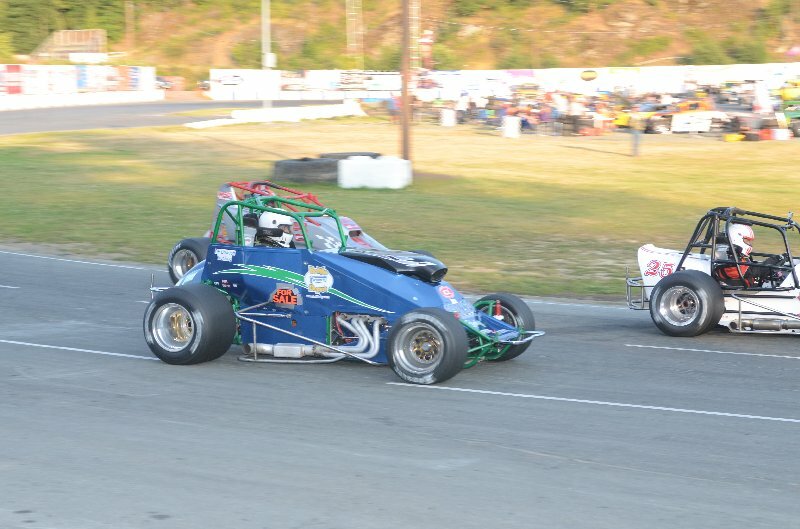 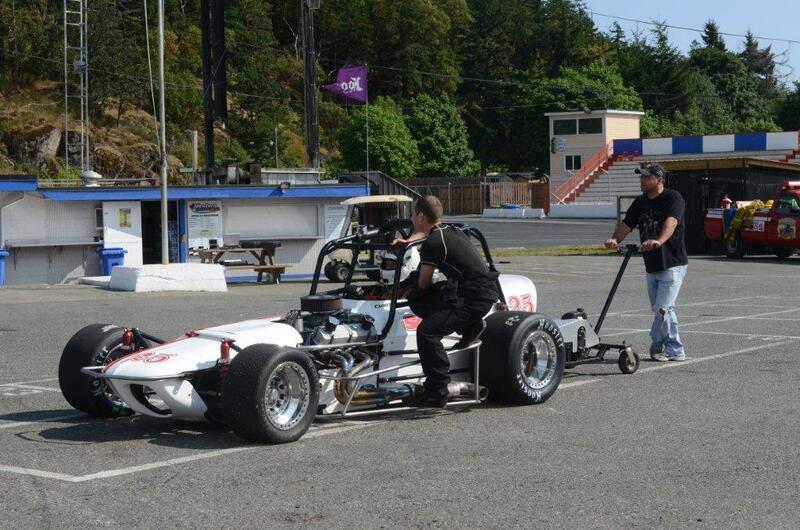 Sean dropped off the pace and into the pits on the last lap as his oil filter suffered a malfunction. 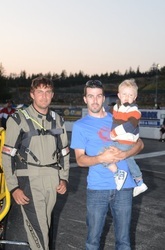 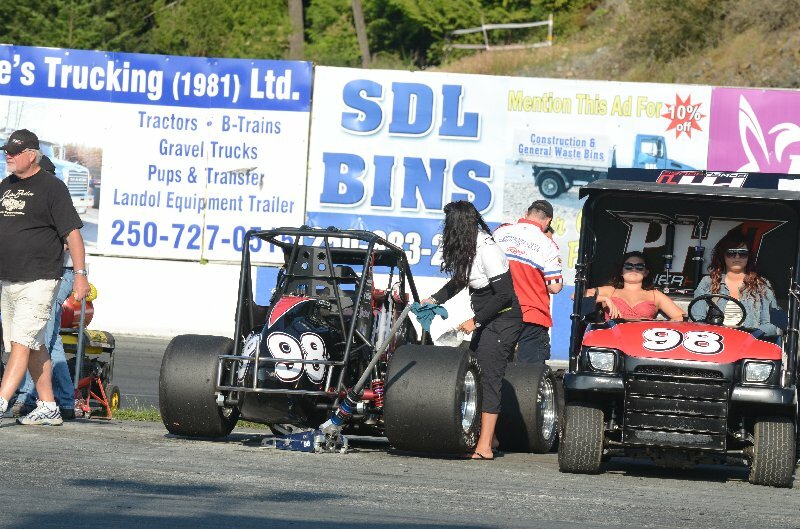 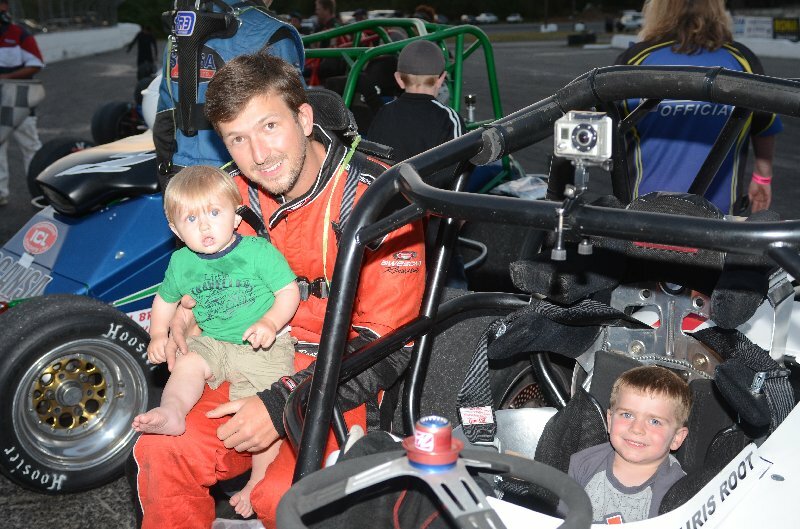 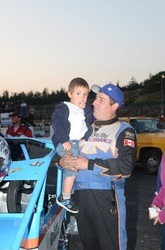 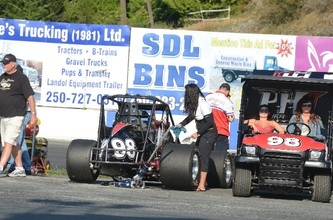 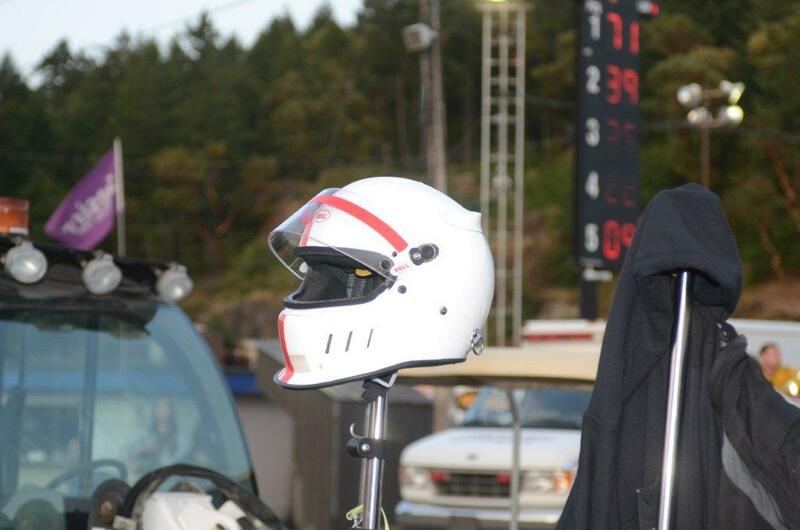 Jeff Bird was leading his Heat until the final lap when his car shut down. 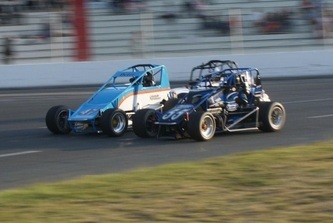 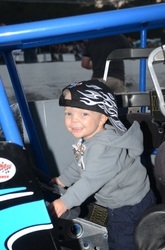 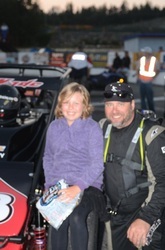 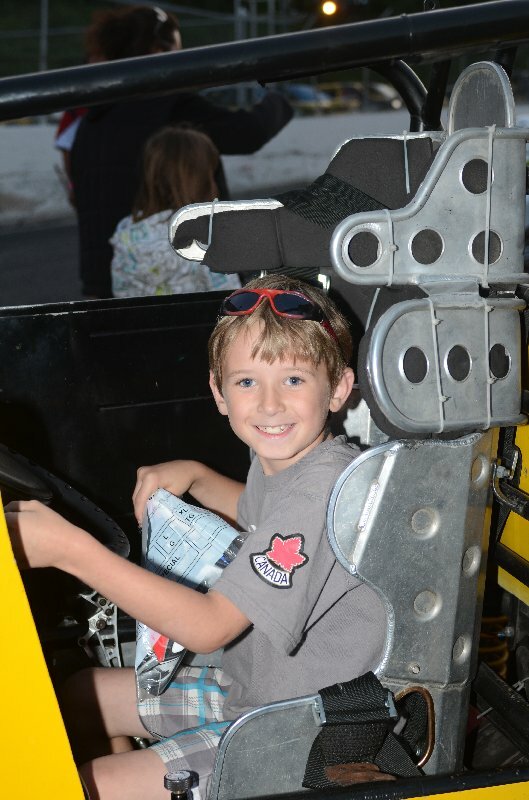 He did hold on for a third place finish. 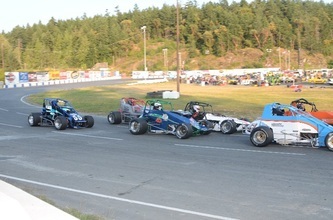 Twelve cars lined up for thirty laps of racing in the Richlock Rentals Non Wing Sprint Car Series paced with the big Dodge Ram Pace Truuck and Jim Steen driving a beautiful 1964 1/2 Mustang once owned by his cousin Billy Foster. 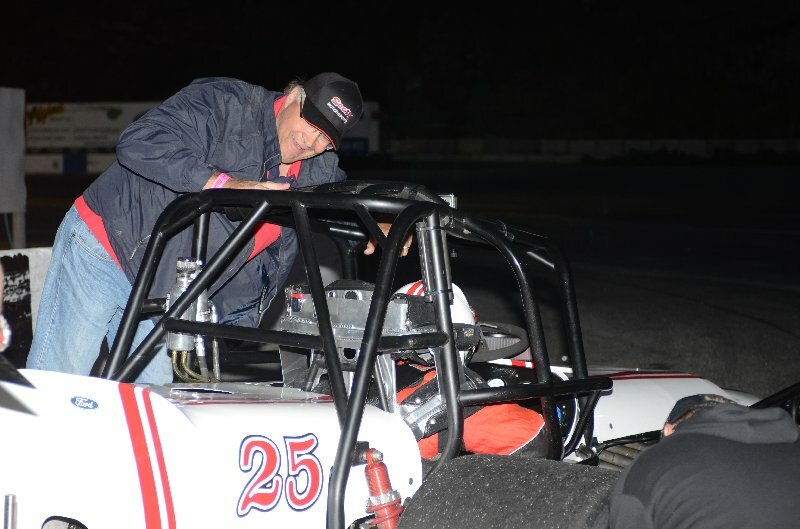 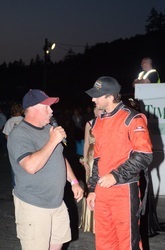 Ron French had the pole position with Lance Wade on his outside as the field of twelve cars came around to take the green flag. 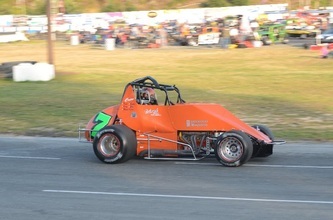 French grabbed the early lead followed by Matt Verhagen and Mark Gall. 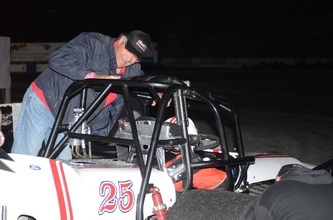 Complete disaster was avoided early as coming out of turn four one of the cars lost traction and came across in front of several cars including Rob Scott who dove to the extreme inside and managed to hang on to his car and there was luckily no contact. 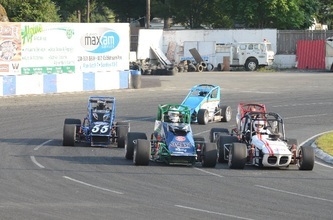 On lap four Deter Lejeune moved into the second spot as Jeff Bird made his presence felt taking the third spot one lap later and then jumped quickly to the lead on lap eight. 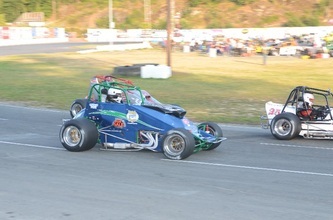 One lap earlier Chris Root had moved up to the third spot dropping Verhagan back to fourth. 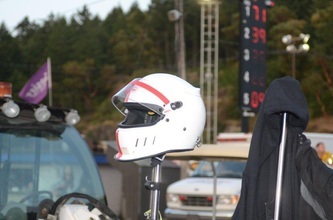 Lejeune, who was in the lead earlier brought out a yellow as his car suddenly lost power. 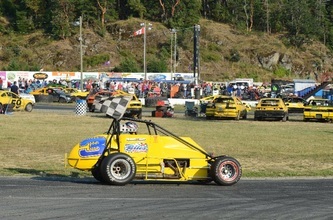 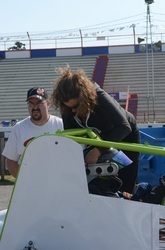 Under this yellow Bird, who had the fastest car, entered the pits also with over heating problems. 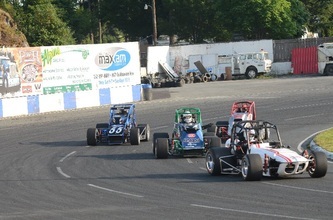 This handed the lead to Root as they resumed green flag racing followed by French and Mark Gall. 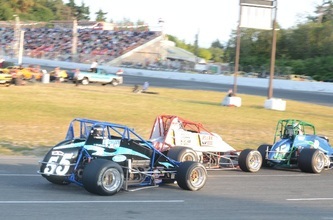 On lap fifteen, Paul Verhagen took the third spot with Rob Scott now running fourth. 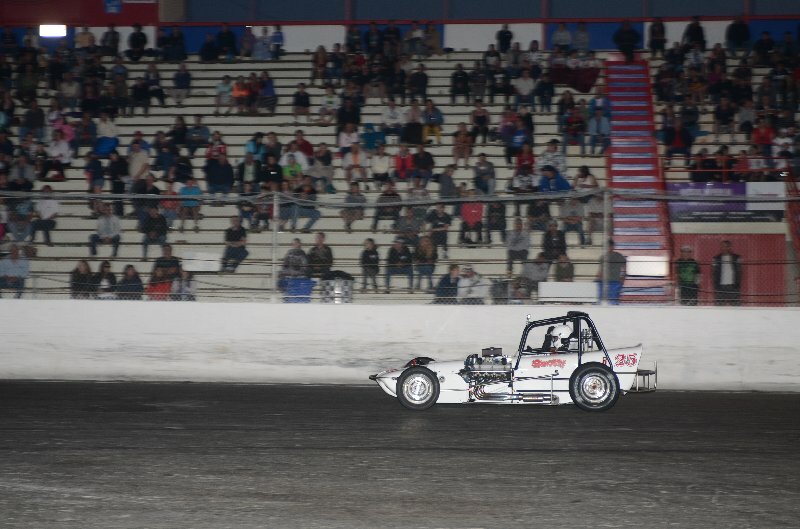 Root, with a clear track, checked out on the rest of the field leaving French, Paul, and Scott to contest for the next positions. On lap twenty-four, Paul took over the second spot while Scott moved to third. 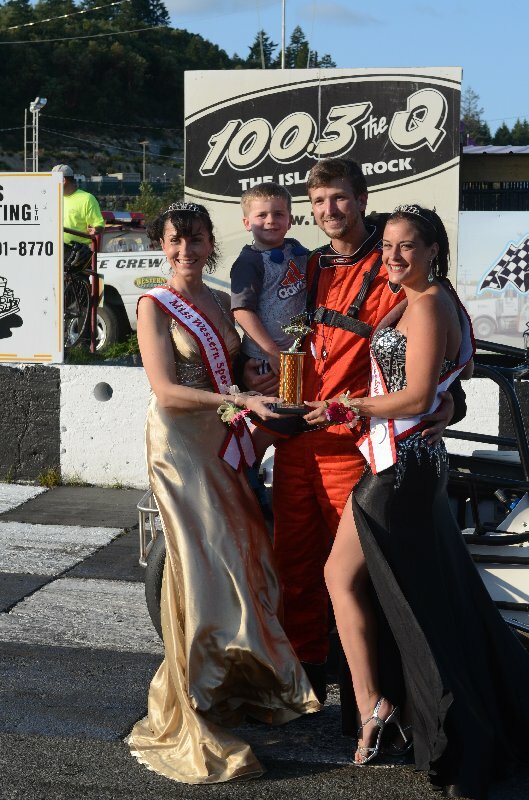 No one had anything for Root as he completed a clean sweep taking his second win in a row after also winning at Saratoga a week earlier. Scott made a last lap pass to take the second position followed by Paul Verhagen, French, and Lance Wade rounding out the top five positions in the Billy Foster Memorial Trophy Feature event. All winners were greeted at Victory Square by Lori Fortune and Winter Sprowl dressed in beautiful gowns courtesy of Victoria Bridal Boutique.